The new 1.5 liter diesel engine will deliver 95 PS. Maruti Suzuki India Limited will introduce a brand new in-house developed 1.5 liter diesel engine. This engine is called DDiS 225. It will be launched in the coming weeks, first with Ciaz and then with Ertiga. 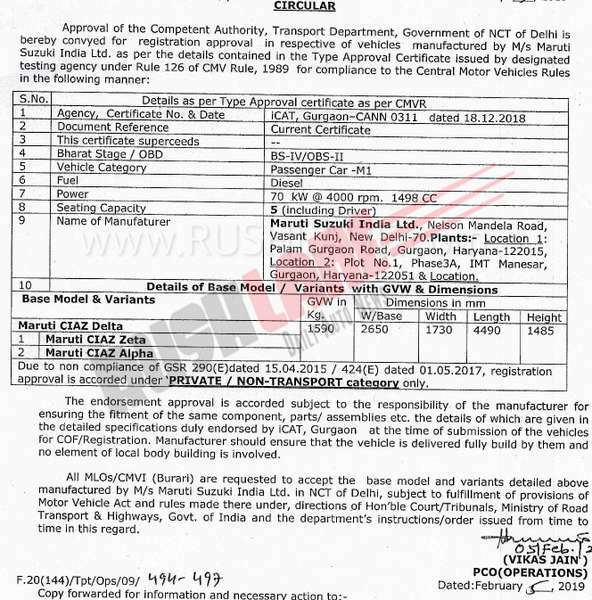 As per a leaked Central Motor Vehicle document, three variants of Ertiga and three variants of Ciaz have been homologated for launch. On board Ertiga, the new 1.5 liter diesel engine will be on offer with VDi, ZDi and ZDi+ variants, while with Ciaz, this new engine will be on offer with Delta, Zeta and Alpha trim. The remaining variants of the respective cars, will continue to be powered by the same 1.3 liter diesel engine. The document also reveals power output of the engine, which stands at 70 kW (95 PS) at 4000 rpm. Though the torque output is not revealed, the same had been leaked earlier. It is 225 Nm at 1,500-2,500 rpm, which is why the engine is named DDiS 225. Unlike the 1.3 liter diesel engine, which has SHVS mild hybrid tech, the new 1.5 liter diesel engine will have no such tech on offer. Maruti Ciaz with this new 1.5 liter engine has a gross weight of 1590 kgs and has a capacity to seat 5 adults, including driver. Ertiga on the other hand has a GVW of 1800 kgs, and can seat 7 adults, including driver. On board the Ciaz, mileage claimed is 26.82 kmpl. Only 6 speed manual transmission will be on offer with this new 1.5 liter engine. This engine is BS VI compliant. But for now, it will be sold as a BS4 to keep costs in check. BS6 variants will roll out from Feb next year. This engine will replace the current 1.3 liter diesel engine which Maruti sources from Fiat, and pays them annual royalty for the same. From 1st April 2020, all car engines will need to be BS6 compliant. To sell cars with BS4, will be illegal. 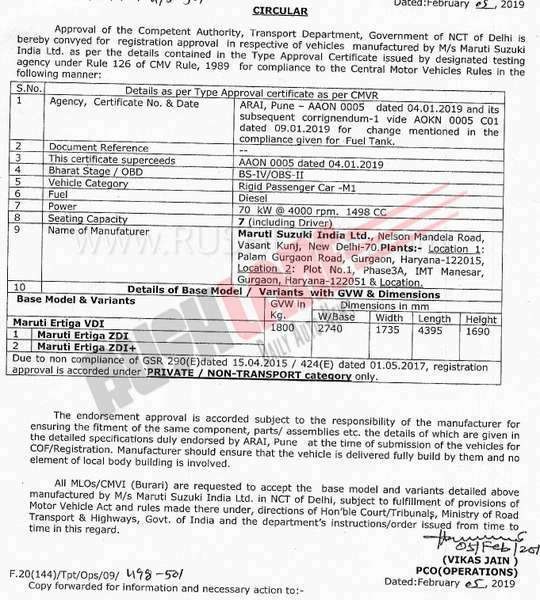 Maruti Ciaz with new diesel engine is slated for launch in February while some dealerships have already opened bookings at an amount of Rs.11,000. Compared to the current variants with 1.3 liter engine, the new 1.5 liter variants will command a higher price. 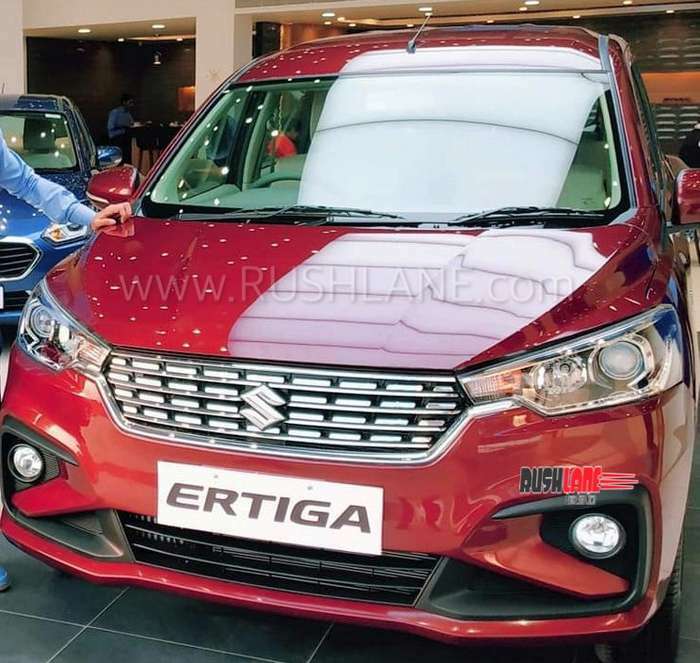 The Ertiga with 1.5L diesel will launch next month.